Apex National Convention in Wagga Finally, I congratulate Neal Molineaux who has become National President of Apex Club this year. 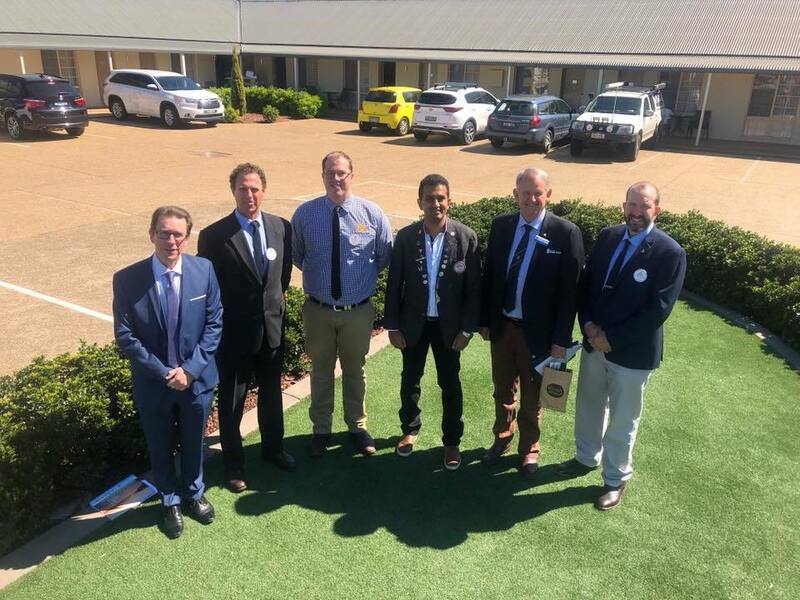 Neal hails from the South Wagga Apex Inc, which successfully hosted the Apex National Convention this year, which involved delegates from throughout Australia and overseas. Neal is the third national president to come from Wagga and the first since 1956. Apex has a proud history of building better communities and nowhere is this more evident than in Wagga where it has relaunched the World Championship Gumi Race, promoted to national level the Biggest Ever Blokes Lunch to create awareness and funding for the Prostate Cancer Foundation, and run public speaking competitions for schools. It has also held the Fisherama to clean up the local lagoon and sponsors soccer teams for disabled children.